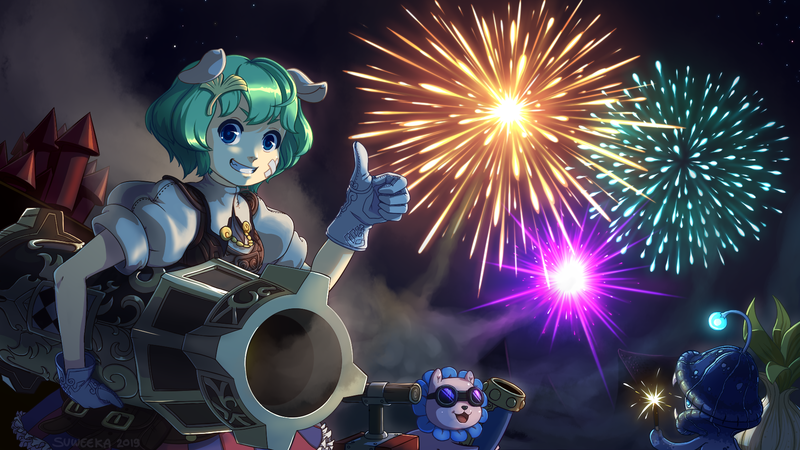 Description: My cannoneer celebrates Tree of Savior’s anniversary with what she knows best: explosions. 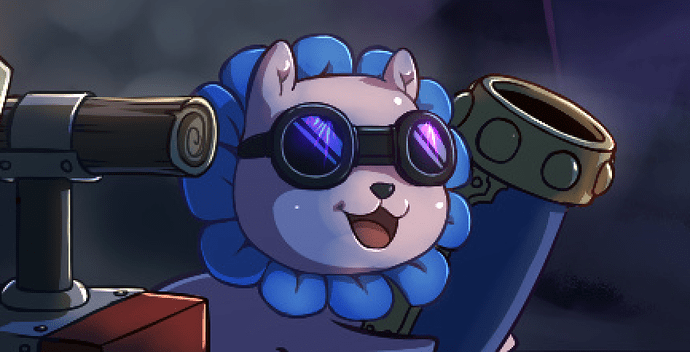 Instead of blowing up cute innocent creatures, she instead takes the time to gather her favorite cute innocent creatures to join her in shooting the sky and blowing it all up. And what else would be more relevant for a third year anniversary than to fire a [cannon barrage] of three fireworks? Happy Anniversary, ToS. My cannoneer gives everyone her appraiser [overestimate] of approval. hngggfff… I was really waiting for this!!! The Popo looks like a new Teemo skin from League of Legends. I love that you drew a night scene and my favorite part is the little popo. I love the lighting in this night scene!! Very beautiful. Everyone loves the popo, but for me, the gribaru has stolen my love. Look at that lil sparkler So cute! Don’t worry. She’s not even at the right level yet!